Thanks for visiting the new Cyber Jumps website. Cyber Jumps Event & Party Rentals is dedicated to providing quality service that is friendly, prompt, reliable, and offer great customer service. We are a family owned company offering new and clean bounce houses, bounce & slide combos, water slides and other exciting inflatable attractions. Here you'll find competitive rates, reliable delivery service, great customer service and safe, clean party rental equipment. We want your experience with Cyber Jumps Events & Party Rentals to be a memorable experience, as it should be. This is a special celebration and important event, so we will go the extra mile to make your day special. 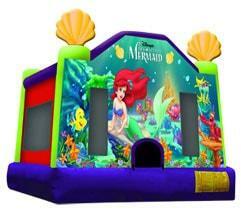 As a family owned company, we are passionate about party rentals. Our goal is to help make your event successful and that your guests have an amazing experience. We have worked with a variety of clients from individual families, Church organizations, Day care centers and schools to Company Events. If you need help, deciding which party rental equipment, you need or you are not sure; we are available to help you! 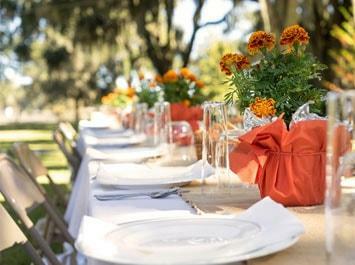 Whether your event is big or small, we will work with you to find a solution to maximize your budget or your party rental needs. Everybody loves to save money and that's why Cyber Jumps has created a series of discounted pre-packaged party specials with all the best selections from our inventory that our customers have come to love. You can choose exciting deals like that on our Frozen 5n1 Combo package. You the awesome Disney Frozen combo, concession machine and tables and chairs. 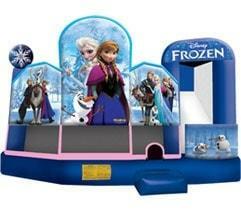 Everything you need for a great party with the cast from Frozen. See all our packages now! See What's Hot at Cyber Jumps! 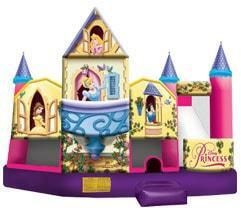 This oversized inflatable play structure is amazing and tons of fun! The 38ft obstacle course is setup for friendly play, with dual entrances and exits. Our clients get excited when they see this obstacle course. We are dedicated to making sure you and your guests have a great experience. 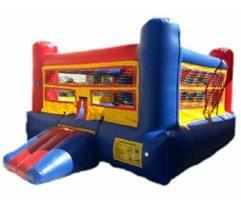 The obstacle course is ideal for schools, backyard parties, block parties, or corporate events. 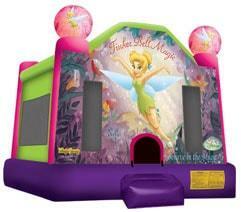 Bounce House rentals are America's favorite event attraction, that kids of all ages love. Cyber Jumps has a great selection of jumper rentals where you can choose the right color, themes, even your favorite cartoon and movie characters. Batman, Mickey Mouse, the Lil' Mermaid, and Tinkerbell are all waiting to welcome your little guests to an exciting day of bouncing fun! 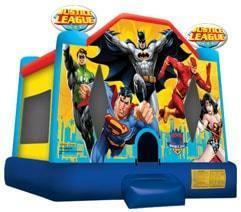 Our clients can choose from a variety of bouncing house. 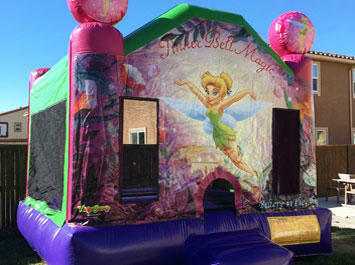 We offer many bounce house for rent. 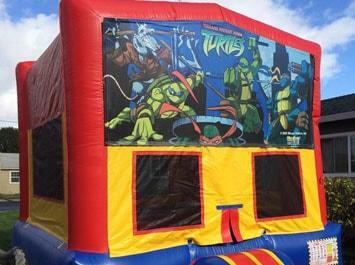 Our themed jumpers are an economical choice for a classic bounce house that you can customize with your favorite graphic banner. Choose the message that fits your party, like "Happy Birthday", or choose popular characters like Disney's Princesses, Mickey Mouse and so many more! This is no cheap bouncer either; this is the original classic jumper that started the bouncer craze. Rent a bounce house in Fairfield. Have fun in one of our customer's favorite 18ft water slides, like the awesome Tidal Wave, featuring its twin wave riding dolphins. 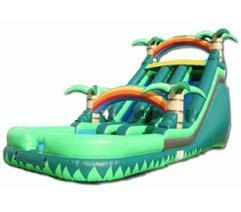 These amazing water slides add thrill and acceleration with tons of water fun. 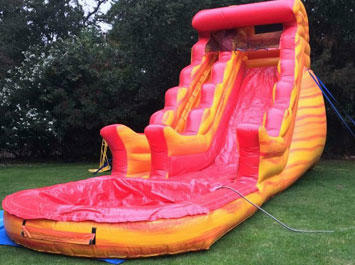 A definite crowd pleaser guaranteed to add excitement to your outdoor event! It is no wonder these are customer favorites in the Bay Area, Solano county, and Napa Valley. 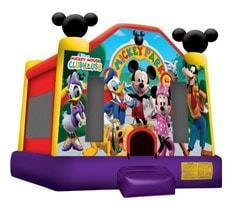 Let us help you find the right bounce house rentals in Vacaville. Cyber Jumps is the leader in the Bay Area when it comes to bounce & slide combos. 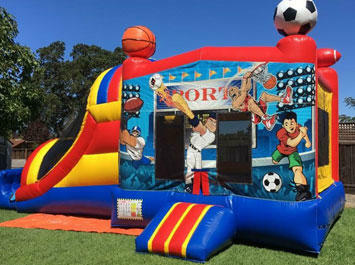 The Combo Bouncer gets its name from being a combination of the popular bounce house and additional exciting features like climb & slides, basketball hoops, and obstacles. 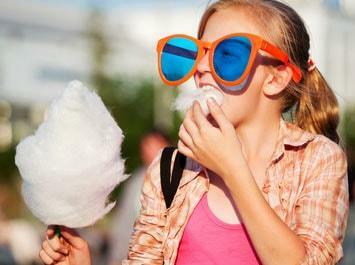 This means you get extra value in your rental price, and tons of fun for the kids. Get some extra bang for party today! 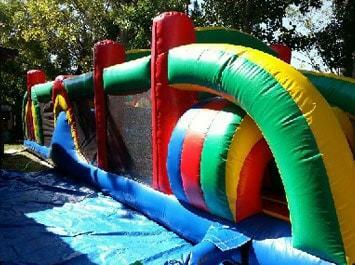 Let us help you find a bouncehouse rental in Vacaville and nearby cities. 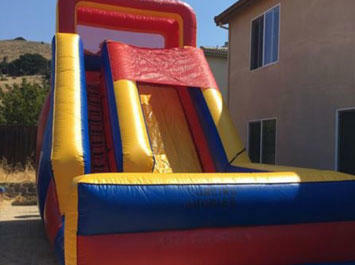 Dry Slide rentals are the perfect choice when you have a location where water use is inapproriate, but you still want great centerpiece attraction. These giant slides are big, and colorful and every bit as fun as their wet cousins. Dry slides can also be used indoors where space permits which makes them perfect for indoor school events, church gymnasiums and so much more! Interactives are a great way to bring your guests together in the spirit of fun and friendly competition, like our inflatable boxing ring where players don over-sized boxing gloves and battle it out on the inflatable arena. 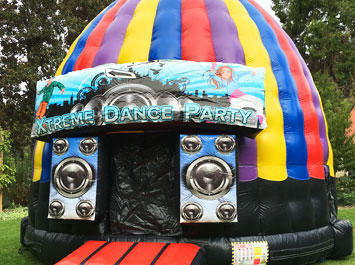 Then there's the new Disco Dome Bounce House, where your guests can bounce and dance to their favorite tunes. Fun for all ages and sure to be a hit! Make sure everybody gets a seat at the table when you have your celebration with our great selection of seating configurations. We have long rectangle table or 60 inch round tables with adult and children's chairs. All of our tables and chairs are folding for easy setup and teardown, and have steel and plastic surfaces for simple clean up after a great day partying with your friends. Fresh popcorn, cotton candy, hot dogs and more, can now be served up to your guests in old fashion carnival style with our concession machine rentals. These "Fun Food" machines are easy to use, and come with supplies where indicated. If you need extra supplies based on your attendance, give us a call and we can help you with ordering the correct quantities of supplies.